O’Dell & Company has a 15 year history in international tax analysis and planning that serves businesses and individuals. Our team at O’Dell & Company can develop and implement forward-thinking and business-oriented tax planning strategies. International taxation is an increasingly complex and difficult area. 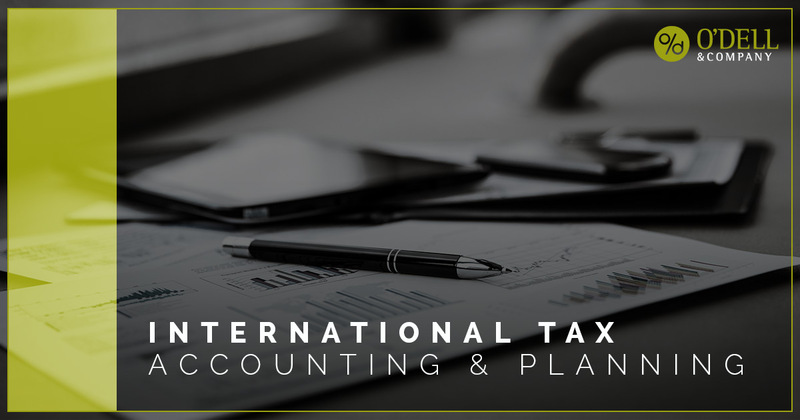 Our expertise in select international tax topics can help you tackle many of the complex and intricate tax return issues that arise in this area. Whether you have an inbound or an outbound tax situation, we can help. Our team works with many companies doing business globally from around the Fort Collins and Denver areas as well as other cities throughout Colorado and the USA. Our technology savvy firm utilizes is happy to schedule communications via phone or video meetings – whatever is most convenient for you. Are you not quite sure what the international tax laws are? Do you need guidance through the web of international tax laws and what they mean. Our team can walk you through each step and help you to achieve compliance and save money where possible. Learn more about our Fort Collins CPA services.